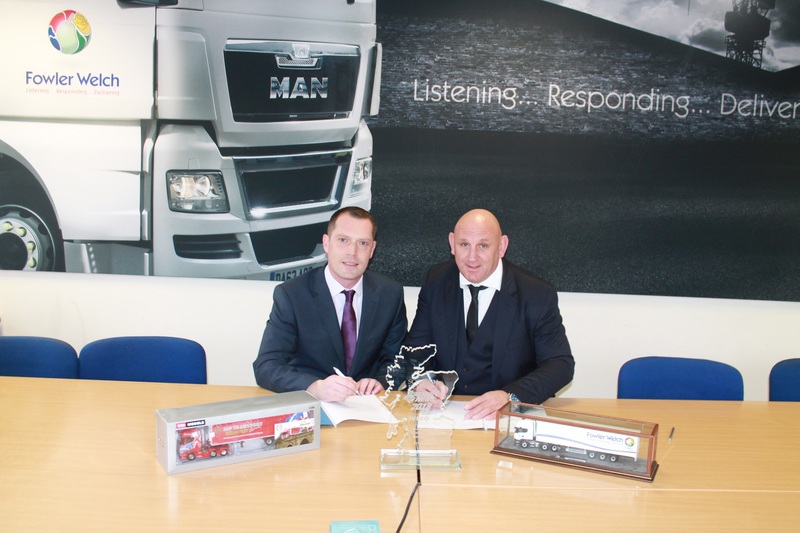 Leading food supply chain expert Fowler Welch has confirmed a long term strategic partnership with Scotland’s recently crowned ‘Chilled Distribution Haulier of the Year’, JHP Transport (Lanark) Ltd.
After 10 successful years of JHP working as a subcontractor for Fowler Welch on transport activity in and out of Scotland, this move represents an exciting opportunity for further growth and value for both sets of customers. John Kerrigan, Chief Operating Officer at Fowler Welch said: “JHP has been a valued subcontractor for us for many years now, their service and commitment has been excellent and has set them apart from others. 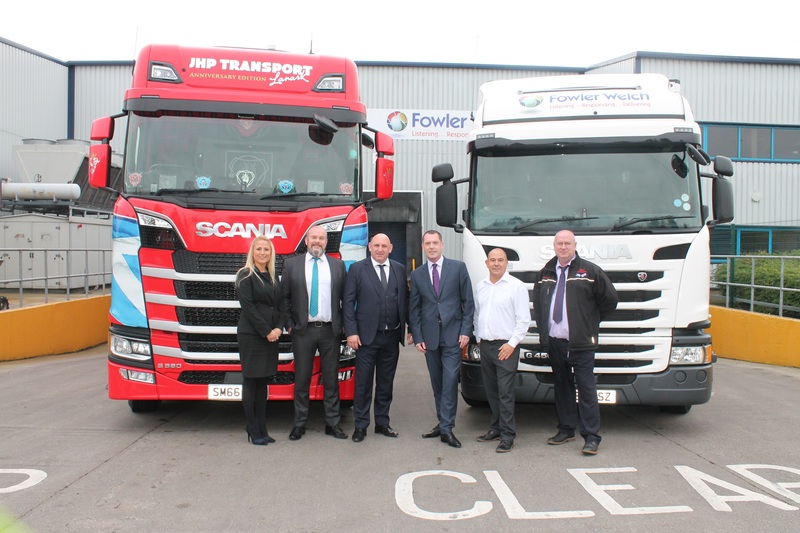 Jim Prentice, Owner of JHP Transport said “We are proud and delighted to extend our relationship with Fowler Welch in a more structured way. 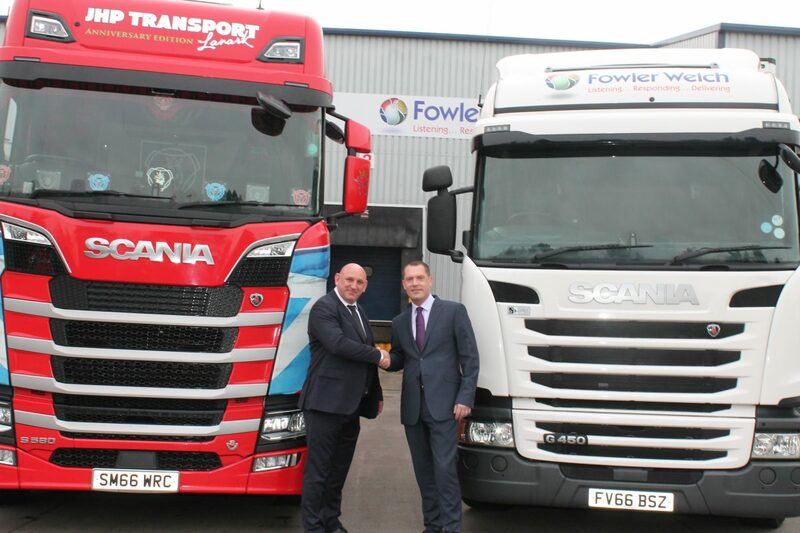 Fowler Welch has been pivotal to our growth and we treat any deliveries we manage on their behalf as if they were our own from a service point of view. Our presence and infrastructure in Scotland will support growth and create a sustainable platform for joint logistics solutions in and out of Scotland for many years to come.